It was announced on Tuesday that country music artist, Brett Eldredge will be headlining the annual July 4th Celebration in Nashville. Along with Eldredge, artists Mac McAnally, Jessy Wilson, and Dylan Scott will perform at the Independence Day event. The main concert stage will be located at Fifth Avenue and Broadway and will include a DJ and live music starting at noon and into the evening. After the concert, the event will shift to the Cumberland Riverfront with a firework show synchronized to a live performance by the Nashville Symphony. The program at Ascend Amphitheater will start around 9:30 p.m. and conclude with a 30-minute pyrotechnics show. Scott will also headline the Nothing To Do Town Tour, launching Thursday (Jan. 17), featuring 19 dates with newcomer Seth Ennis. “The past two years–both personally and professionally–have been the most exciting of my life,” said Scott. “With my new single hitting radio on Monday and my tour kicking off in New York City three days later, 2019 is starting off in a whirlwind and I couldn’t be more excited. I can’t wait to get back out on the road and play new music. Looks like it’s going to be a busy year!” The recently announced iHeart Radio Best New Country Artist nominee is set to highlight the New Faces Showcase lineup at the 2019 Country Radio Seminar in Nashville on Feb. 15. 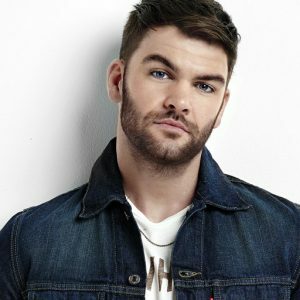 When Dylan Scott brought his son, 9-month-old Beckett, to a recent interview with Taste of Country Nights‘ Sam Alex, the conversation naturally went to fatherhood. Scott is a bit sleep deprived these days — he wakes up early for Beckett’s feedings — but he’s still looking forward to taking his young son out on the road with him. “I’m on one bus right now with 10 guys,” he says. “Hopefully next year we’ll go to two buses and bring the family out. We will put a crib on it. It’s worth it when you’ve got your family out there.” Watch the video and read the full story HERE.